Always seek to magnify His presence! 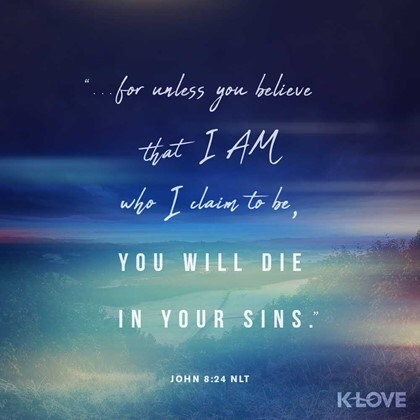 "…for unless you believe that I Am who I claim to be, you will die in your sins." This entry was posted on September 21, 2018 at 7:20 am and is filed under One Walk. You can follow any responses to this entry through the RSS 2.0 feed. You can leave a response, or trackback from your own site.